Although it is still shown on modern large-scale OS-maps (as ‘St Andrew’s Well’), its present condition is unknown. If this has become boggy and overgrown, it is a sure case for renovation, despite its desolate geography; and especially considering that St Andrew is the patron saint of Scotland, whose festival date is November 30 (thought originally to have been Samhain, or Halloween—the old heathen New Year’s Day). If any visitor or islander could send us photos of the site, that would be awesome! 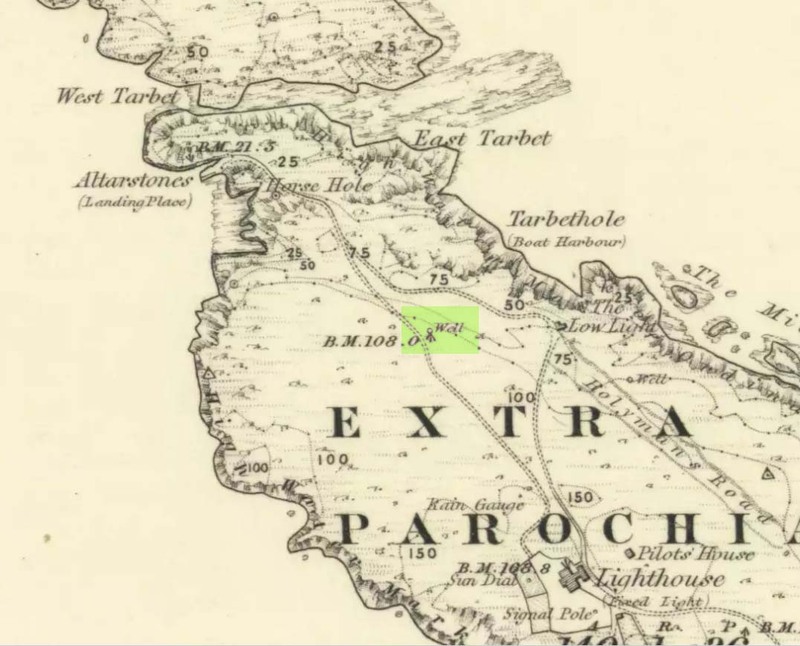 Dickson, John, Emeralds Chased in Gold; or, The Isles of the Forth, Oliphant: Edinburgh 1899. Eggeling, W.J., The Isle of May, Lorien 1985. Mackay, Æ. J.G., A History of Fife and Kinross, William Blackwood: Edinburgh 1896. Muir, Thomas S., The Isle of May – A Sketch, Edinburgh 1868. Muir, Thomas S., Ecclesiological Notes on some of the Islands of Scotland, David Douglas: Edinburgh 1883. Simpkins, John Ewart, Examples of Printed Folk-lore Concerning Fife, with some Notes on Clackmannan and Kinross-shires, Sidgwick & Jackson: London 1914. Taylor, Simon & Markus, Gilbert, The Place-Names of Fife – volume 3, Shaun Tyas: Donington 2009. This entry was posted in Fife & Kinross, Holy Wells, Scotland and tagged Anstruther, antiquarian, antiquities, Archaeology, Crail, earth mysteries, Edinburgh, Fife, Firth of Forth, hagiology, healing wells, heritage, historic Scotland, history, Holy Wells, Isle of May, sacred sites, Scotland, St Andrew, water. Bookmark the permalink.